Civil engineering is a professional engineering discipline that deals with the planning, design, construction, operation and maintenance of the physical and naturally built environment, including works such as buildings, bridges, flyovers, under passes, roads, railway tracks, airports, docks & harbors, factories, dams, barrages, canals, water supply schemes and sewerage systems etc. Since 2014 the department has adopted Outcome Based Education system. After gap analysis, a number of radical changes were carried out in 2014, 2015 and 2016. 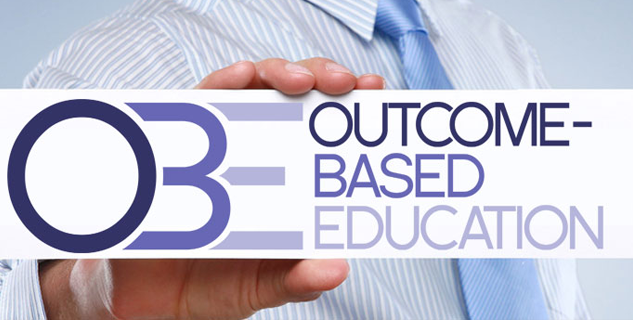 The adopted vision, mission, Program Educational Objectives and Program Learning Outcomes can be found over here. “To Impart High Quality Civil Engineering Education Through Modern Teaching and Research for the National Aad International Socio-Economic Development”. Graduates demonstrate their proficiency of applying the knowledge and skills to solve complex civil engineering problems. Graduates communicate effectively and contribute in the project team. Graduates engage themselves in continuous professional learning process. The Civil Engineering Department at UET Lahore is committed to provide quality Civil Engineering knowledge and skills to its students to address the fast evolving needs of the industry in particular and society in general. Modern engineering tools, state of the art techniques and knowledge are being transferred to the students that help in recognition of the University as a leading engineering institute in the world. Stakeholder’s input is obtained through frequent formal and informal meetings with graduates, alumni, employers, industrial advisory board and parents to remain relevant to the socio-economic needs of the society, locally as well as internationally. Following PLOs have been selected for the B.Sc. Civil Engineering Program. Life-long Learning: An ability to recognize importance of, and pursuing life-long learning in the broader context of innovation and technological developments. Students shall have an ability to apply engineering knowledge to the civil and structural engineering problems. Students shall have an ability to identify, formulate and analyze practical engineering problems. Students shall have an ability to comprehensively design structural engineering systems. Students shall have recognition of the need and an ability to engage in life long learning of engineering. Civil Engineering is considered as the mother of all engineerings as it is the process of directing and controlling natural resources for the use and benefit of mankind through construction of various projects. Civil engineering graduate of UET Lahore has sufficient opportunities of getting jobs in various government/private departments i.e. Communication & Works (C & W), Water and Power Development Authority (WAPDA), Punjab Irrigation and Power Engineering Department, Civil Aviation Authority, Pakistan Railways, National Highway Authority (NHA), Lahore Development Authority (LDA), Water and Sanitation Agency (WASA), Public Health Engineering Department, National Engineering Services Pakistan (NESPAK), Associated Consultant Engineers (ACE), National Development Consultants (NDC), SKB Engineering & Construction, Descon Engineering Limited and many more. Civil Engineering Department is one of the oldest department in the country imparting Civil Engineering courses at undergraduate and postgraduate levels. The Department was established in 1939 as a part of the Maclagan Engineering College, Lahore. Currently it has an enrollment of over 1000 students in bachelor, Master and Ph.D. levels. To impart high quality civil engineering education through modern teaching and research for the national and international socio-economic development. Recently the department has adopted Outcome based learning education system. Presently, more than 800 students are enrolled in undergraduate program, about 180 students are busy in their M.Sc. research work in three specialized sub-discipline and about 18 Ph.D. scholars are working on their Ph.D. research projects. The department has a strong alumnae backup numbering more than 7000 alumnae, leading the national and regional development. In the Bachelor Degree Courses, emphasis is laid on the fundamental concepts and principles, which constitute the basis of civil engineering practice. To foster their creative abilities, the students are assigned projects on design, construction and laboratory investigations. The classroom and laboratory work is supplemented with instructional tours to acquaint students with the civil engineering projects of national importance and with survey camps where they plan and execute surveys of large areas independently. The Master degree courses, involving 2 years of part-time study, consist of lectures, design work, laboratory investigation and research. The emphasis is on introducing students to modern trends and techniques and advanced knowledge in their fields of specialization. Civil Engineering Department in collaboration with National Engineering Services of Pakistan (NESPAK) has established a standard base line at the University Campus, which is used for calibration of surveying equipment/instruments for various surveying organizations. The department has the following well-equipped laboratories with the latest testing machinery, which meet the academic needs of students and teachers as well as the professional needs of the government and private organizations. Hydraulics & Irrigation Engineering Lab. The department has adequate research facilities for the postgraduate students and the faculty. Priority of the department has been given towards solution of different problems faced by the public/private sectors in the field of civil engineering in the county. The faculty members are engaged in a variety of research programs such as low cost housing, ultra high strength concrete, strengthening of masonry walls and retrofitting, use of indigenous materials, soil stability, pneumatic techniques, seepage control of water logging and salinity, sedimentation in channels and reservoir, river flood hydraulics, treatment of industrial waste, hydrological modeling, soil erosion and sediment transport modeling, numerical simulation for flushing sediments from the reservoir, coastal flood modeling considering future climate change, irrigation canal system simulation and development of computer software for civil engineering problems. Presently the strength of Civil Engineering faculty is 48 including having 15 Ph.D. and 30 Masters degree in Civil engineering degree and rest of the faculty are pursuing their masters. Civil. Department has more than 20 teachers pursuing higher education in reputed universities abroad.